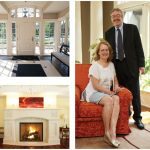 Home » The residence of Irish Ambassador Raymond Bassett and his wife, Patricia, has undergone an expansion. It’s now 12,000 square feet. 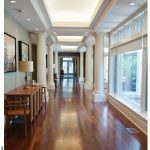 The residence of Irish Ambassador Raymond Bassett and his wife, Patricia, has undergone an expansion. It’s now 12,000 square feet. 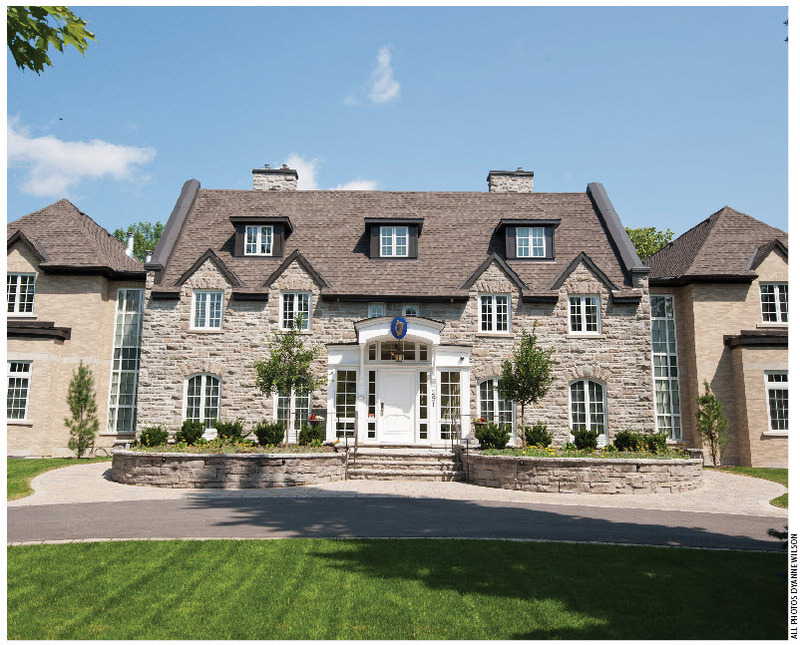 The front door opens into this elegant glass portico; Ambassador and Mrs. Bassett; the dining room, which seats 24; the mammoth living room fireplace, decorated with Celtic knots, was made in Toronto. Part of the expansion includes a glass gallery loggia that runs along the north side of the original house and links the new east and west wings.